Many people have told me and Ann, “If Stan is in Maui, he has to take The Road to Hana!” A return trip to the Kipahulu section of Haleakala was in my plans, so this past Monday I set out. Various rangers and locals told me, “Don’t take the north road (The Road to Hana)! Too many tourists and it’s slow going.” A ranger at Kipahulu suggested taking The Road to Hana when I return, then the quicker, shorter south road going back to the summit area. My friend Ken had taken The Road to Hana with his family on a visit last year, he did say it was scenic but very slow. We decided if I’m here and going to Kipahulu that if I don’t take The Road to Hana, people back home will make fun of me. So three and a half hours later (for 75 miles), I arrive at the Kipahulu bunkhouse. The Road is very curvy and you drive through some amazing dense foliage, gorges and past waterfalls. There is a bamboo forest that is incredible. You don’t get many views of the coast and it is quite slow going. The panoramic views of the ocean and coast from the south road are hard to beat and I took that road back to the summit. I settled into the bunkhouse and enjoyed the incredible scenery and solitude (a break from the solitude at the summit housing). It was warmer and more humid than my first trip there at the beginning of the month (blog post from March 8). The first night was not so great as rain interrupted the shooting. By the time I got back to the bunkhouse, it was pouring. On Tuesday I got a roommate. Early in the morning as I was shooting a spider web off the lanai a visiting ranger arrived. Aaron is an electrician and works full-time at Mt. Rainer National Park in Washington. He has come to Kipahulu several times and is here to help with solar arrays and various electrical projects. When Aaron returned to the bunkhouse after his day’s work, he suggested a walk to the point that we see from the house, I didn’t know you could access it. He said he found it on a previous trip by walking down the road a bit and seeing a small gate with a National Park Service sign on it. The trail is not advertised and is not in any park literature. The walk goes through grasses and through closed in trees and foliage, then opens up on to the point as you walk on crushed lava. 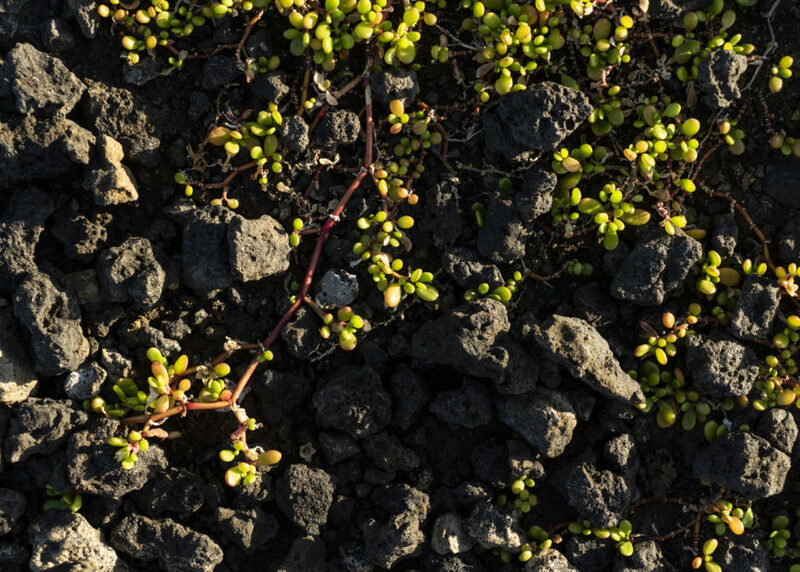 Very small green plants grow between the lava making a great contrast. The view is really spectacular, compared to the ‘just spectacular’ view from the house and the other parts of the park. The ocean is on three sides and you can see the top of Haleakala partly shrouded in clouds. We arrived near sunset and it was very pleasant. 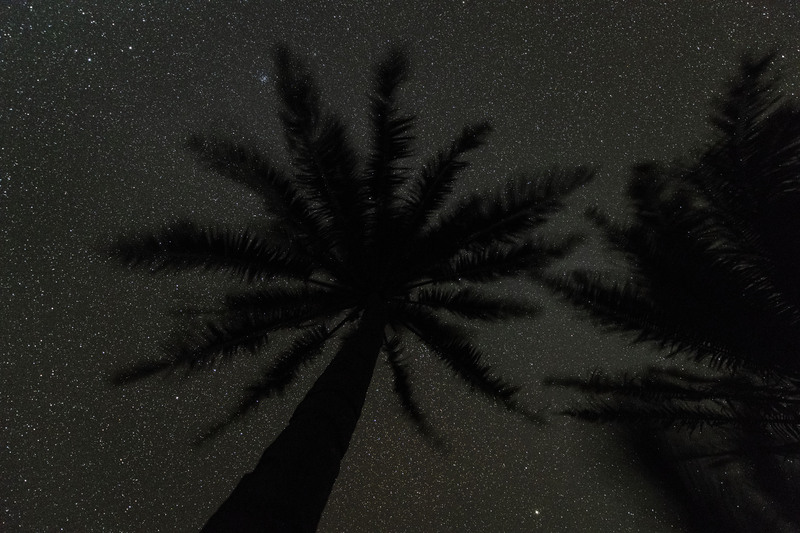 Tuesday night was about as clear as it can be for Kipahulu. Starting out pretty clear, my southern-facing time-lapse suddenly had a long dark cloud intruding into it. When that was done, I headed to the view of the ‘Ohe’o Gulch with a couple of waterfalls and several pools of rushing water. The moon rising in the east at 12:35am lit up the gulch as I had thought, between the clouds meandering across the sky. I shot for an hour there, then headed back to the bunkhouse. Wednesday morning I headed back on the south road to the apartment in the summit area. The car thermometer reached 78 degrees as I drove through the Kipahulu area along the coast. When I reached the apartment at 7,000 feet, it was 58 degrees. During the daytime I’m slowly sifting through the images and working on them. 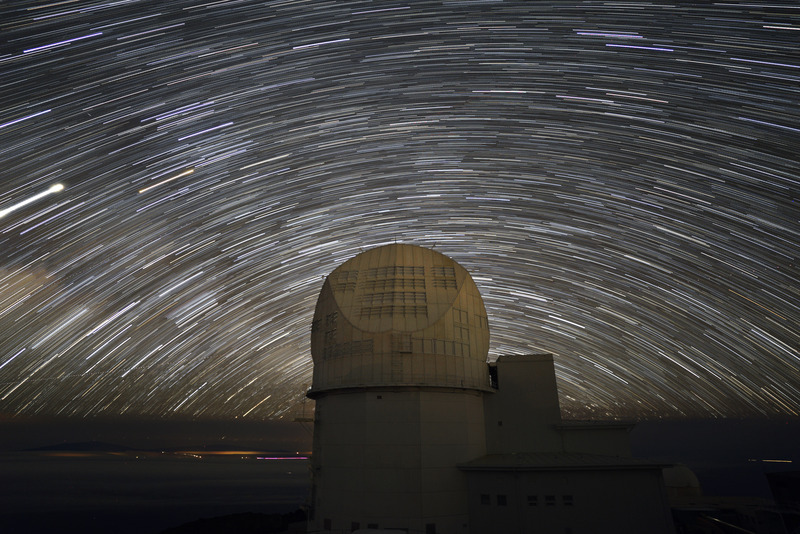 Earlier in the month I shot a sequence for a star trail picture over the Daniel K. Inouye Solar Telescope. I just put it together and it turned out a bit better than I expected (below). 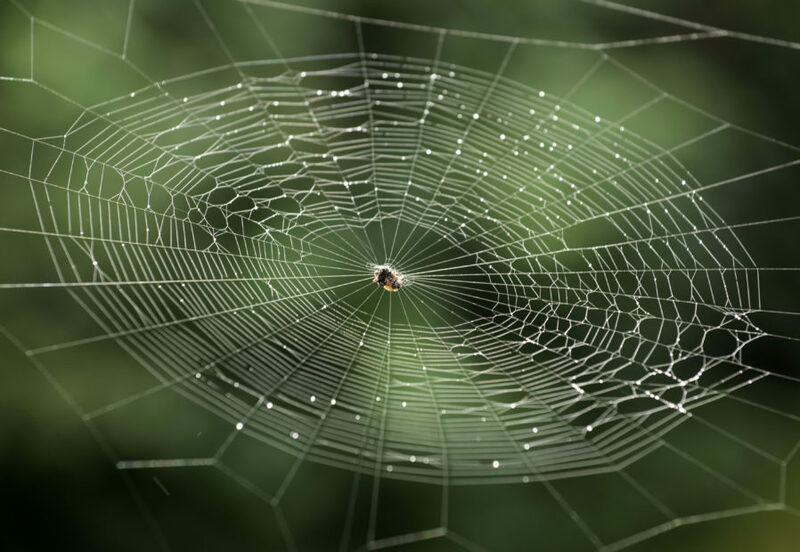 A spider and its web on the lanai of the Kipahulu bunkhouse after a light rain. Plant life between the hardened lava.